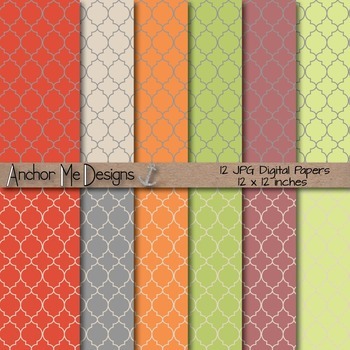 This package includes 12 quatrefoil digital papers. 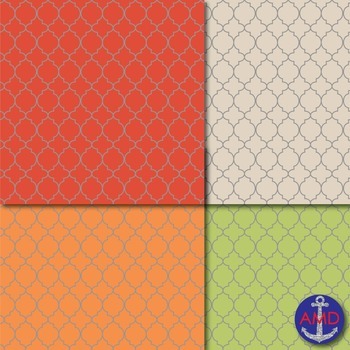 Each paper measures 12 by 12 inches. I use them as SMARTboard backgrounds for morning messages and posters as shown in the second image. 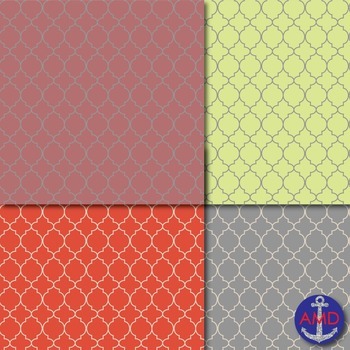 You can also use them for your TPT product covers! My students love them! 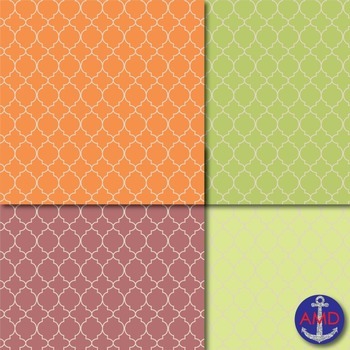 Check out my borders & frames which will compliment your backgrounds, cover pages and displays!